One Steph Beyond: African Adv. Get over here! What are you waiting for? Livingstone is a perfect resting place if you are overlanding between Botswana and Zambia. It is just after the border and right next to Victoria Falls. 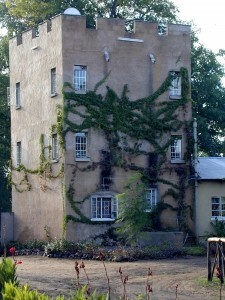 Gwembe Castle is a stunning apartment situated within the grounds of Livingstone Crocodile Park and comes with a pool, shade and full self-catering accommodation. You will also get to meet Ian Brooks, the crocodile man of Zambia! A wonderful host and interesting man. It is quiet, relaxing and feels extremely luxurious. It's much nicer than staying in a hotel and even has an outdoor roll top bath at the top of the castle! The area has elephants roaming around the entire area and there will be many occasions where you have to stop to let them cross the road before you! It really is a constant source of entertainment and amusement! Check out Gwembe Safaris for more details. The lodge itself consists of a thatched building with several decks overlooking the Kafue River, and offers a new inifinity pool, so in the hot days you can relax in the pool, looking over the vast Kafue River, peacefully reading one of the books from our small library collection. 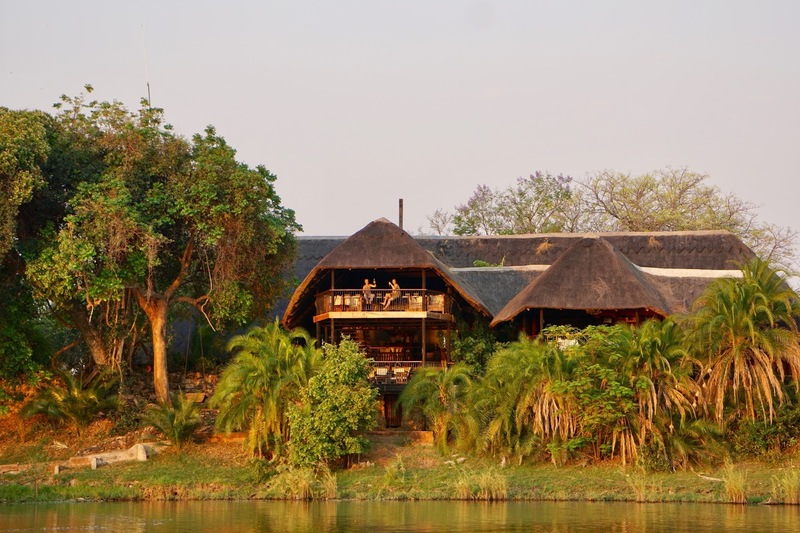 When you return from one of our activities come and relax, with a drink from our bar in hand, in one of the lounge areas, choose from three tiered decks, all offering stunning views of the Kafue River. Or chat to one of our guides while gazing up at the stars in the night sky by our warm campfire. Check out Mukambi Safari Lodge for more details.